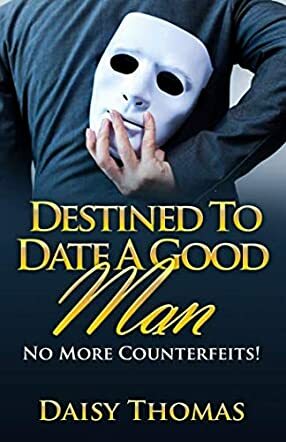 Destined to Date a Good Man: No More Counterfeits by Daisy Thomas is a book that tells you how many different kinds of bad men there are, and how to avoid them. Daisy Thomas goes into great detail on the different types, like abusers and narcissists. She also talks about how you should trust your gut. She uses a lot of biblical references and how these can help. Daisy Thomas also talks about how his family and your family come into play. She also uses stories about her past relationships to help prove her point. I thought that Destined to Date a Good Man was a good, resourceful book. I liked how Daisy went into great detail about each type of bad guy, like narcissist and abusers. I liked how she started the book by saying we should listen to our gut and she gave reasons why. When Daisy used her own stories about her bad relationships, I thought it made the book more personal and believable. If you believe in God, then you will definitely appreciate her biblical references and use of the Bible. My favorite part was when Daisy added the abuse hotline phone number in the section of the abusive man. Been there, didn't know about the hotline then, so I wanted to hug her for putting that in there. If you are in a troubling relationship then Destined to Date a Good Man by Daisy Thomas is definitely a must-read. Sometimes it helps if you see the red flags in black in white!